Shirdi Sai Baba, a Hindi movie, is not currently screening in Hyderabad. This is a review of a movie that released in 2001. For the 2012 Shirdi Sai Baba movie starring Akkineni Nagarjuna, please click here. It is said that you need to have the guidance of a guru to get on the right path for mukti - salvation, the ultimate goal of man. So where do you find the guru? Like always, that's the wrong question. 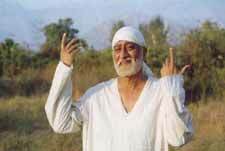 If you are ready to receive him, as Kabir said, the guru himself will come to you. fullhyd.com has 700,000+ monthly visits. Tell Hyderabad what you feel about Shirdi Sai Baba, and then also see all user reviews for Shirdi Sai Baba!